It looks like Adidas haven’t been really working hard on giving Real Madrid a new and original look for their new alternate Champions League kit. 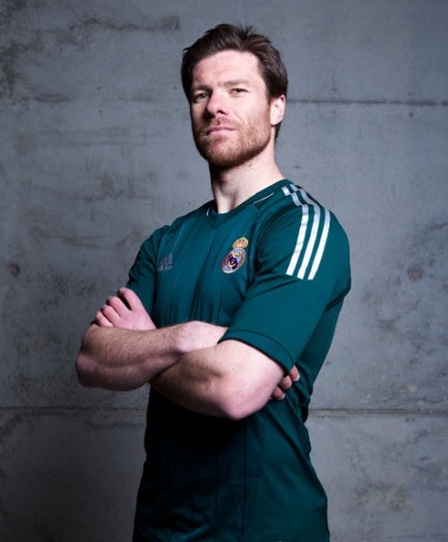 In fact, especially with Xabi Alonso modelling the new outfit, it looks like something Liverpool, another Adidas club and Alonso’s former team, wore a few years back. How do you make more money off your fans? Simply release more shirts into the world. It’s not that new of an idea, but it seems teams are doing it more and more; something Manchester United were probably the first to do sometime in the late 90’s, when the side’s popularity (David Beckham) and of football’s in general was getting a huge boost. But there aren’t that many colors in the world a team can where, especially a club like Real Madrid, so associated with wearing a one colored outfit, mostly famous for their all-white kits. There’s also something with blue, something with black and there are the purple jerseys as well. Now there’s green, but there’s nothing original or actually new about it. 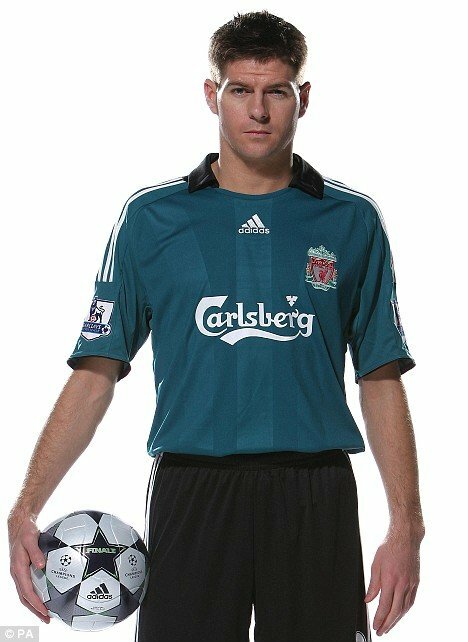 Just cloning and tweaking an old Liverpool Jersey.